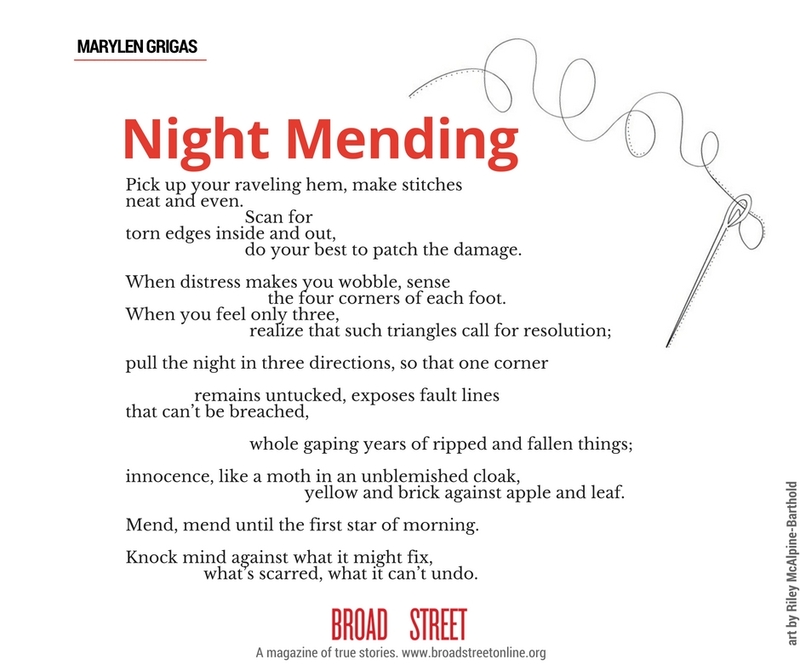 BROAD STREET presents another in Marylen Grigas’s exquisite series of poems about loss, love, illness, and putting it all together again–elegantly illustrated by Riley McAlpine-Barthold. Click above to see the poem in a printer-friendly, larger-font version, or scroll down past the bylines for plain text. Marylen Grigas is the author of the poetry collection Shift, out this fall from Nature’s Face publishers. Her poems have recently been published in The New Yorker, Alaska Quarterly Review, and Circulo de Poesia. She lives in Vermont and works at an architectural stained glass studio. Read about her inspiration for this series by clicking on her Truth Teller Spotlight. do your best to patch the damage. the four corners of each foot. yellow and brick against apple and leaf. Mend, mend until the first star of morning. what’s scarred, what it can’t undo. Previous postWeekend Reading: What if you had no family photos? 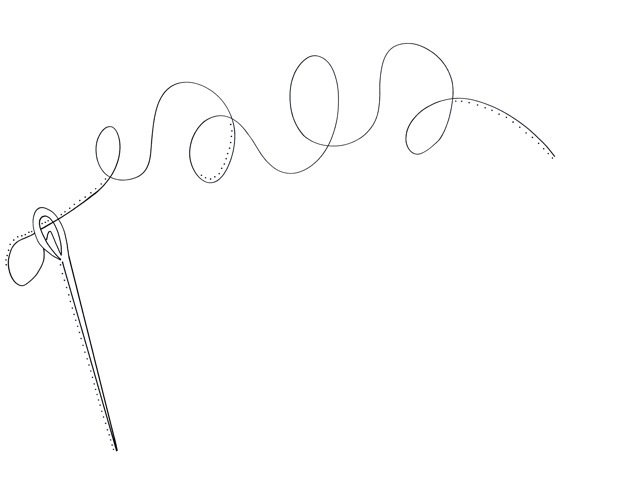 Next postFrom Our Pages: "The Dance Vanishes / The Poem Remains," by Lea Marshall.